Goal-setting with Alexander Lord | . Most teenagers have no clue about where they want to be after graduating high school, let alone their career. However, most teenagers are not Alexander Lord. “Perhaps it was just an individual thing, but I knew that I wanted to be a Partner at a large professional services firm,” said Alex. With that goal in mind, and before receiving his high school final exams results, Alex applied and received a cadetship at PricewaterhouseCoopers (PwC). No easy feat with three thousand applicants statewide and a rigorous selection process. He puts his success not to scholastic ability but the maturity he showed at the interview. This was long before concepts such as EQ became buzzwords. During his undergraduate years, he worked full-time at PwC and studied full-time at RMIT University. “I got a half-day off each week to attend classes, usually a 2-hour lecture and 1-hour tutorial on a Thursday, as well as night classes on Tuesdays and Thursdays,” said Alex. 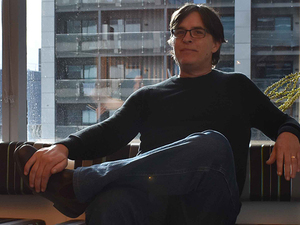 Today, Alex is a Senior Client Service Director at Deloitte and has been for 7 years. 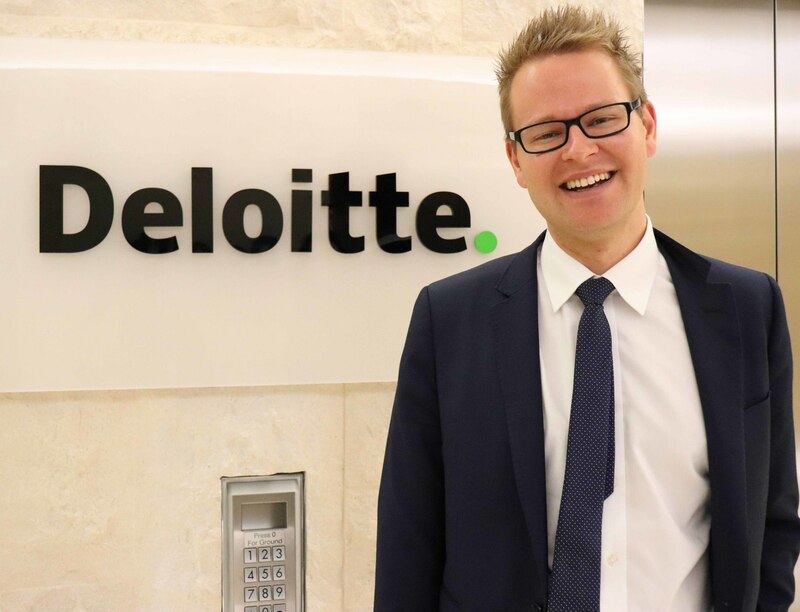 Not only did he have the opportunity to work in London and across Europe during his time at Deloitte, but Alex has also worked across the Asia-Pacific region, and has been able to live his travel dream, the reason he joined a global firm. Having always known what he wanted to do has helped him succeed, but Alex’s greatest focus lies in goal-setting. He sets a whopping ten goals for himself each year which fall into the categories of family, travel and leisure, career, a sporting challenge, and fitness. “Throughout my career, I’ve had ups and downs and significant challenges. But during those setbacks and difficulties, coming back to my aspirations and forward-looking ambitions is what has enabled me to re-focus on what’s important to me,” said Alex. Fortunately for Alex, Deloitte is supportive of his personal goals. After almost eight years at Deloitte, he has worked with various organisations including UBS and Citigroup in London and Westpac and Australia Post in Australia through various projects and secondments. Currently, Alex is working out of NAB, focussing on the strategic regulatory changes that Interbank Offered Rate (IBOR) are having. “My role allows me to move laterally while staying with one company and doing many different things, which is what I enjoy most,” he said. Given Deloitte’s genuine advocacy for flexible working hours, Alex is also able to reach his non-career related goals. A cycling and triathlon enthusiast, the flexible work arrangements allow him time for the training he needs at the beginning or end of the day. “It’s a positive experience to work from home, to find that balance of not just working regular 9 to 6 hours, but also to come in earlier or leave earlier as well,” he said. The proud new father is also able to draw on a 4-month paternity leave plan, enabling him to be a hands-on dad and spend more time with his wife and 6-month-old daughter in 2019, which Deloitte outwardly supports. “If you’re doing what you’re passionate about inside and outside of work, you just give more of yourself and can deliver a higher standard,” he said. 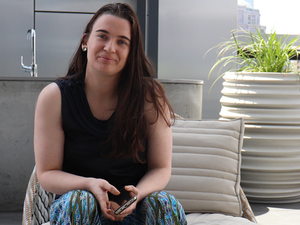 Throughout this career, Alex has also been a mentor to many through the Financial Services Institute of Australasia (FINSIA) as well as through RMIT’s Mentoring Program. As much as he guides others, he is also very receptive to being mentored and learning from different people. “They say to me: pull back and wait. If you jump into the role and it doesn’t go well, it’s a learning curve too.” As for his next plan, Alex intends to become a Partner at Deloitte serving his clients, to start a business, and spend some time being a Dad as his wife returns to work. Given his record of accomplishment, that goal is probably on its way to fruition already. There are no challenges Elisha Harrington isn't willing to face.